The Trump administration has clarified that every recipient of Title X family planning grants must include a provider that offers hormonal birth control. HHS released a new funding announcement Wednesday night with little fanfare and no significant changes for the providers who currently receive portions of the $260 million in grants. The administration's first revision of the program's funding guidance came in February and prompted a lawsuit from the American Civil Liberties Union, the National Family Planning & Reproductive Health Association (NFPRHA) and Planned Parenthood affiliates arguing the administration was signaling it would roll back the contraception requirement. But a federal judge dismissed the lawsuit, noting he was skeptical that Planned Parenthood affiliates would lose their Title X awards given that often their clinics "are the only show in town." Soon afterwards, HHS announced this year's grant recipients. No grantee lost funding and the department added new recipients including an additional Planned Parenthood affiliate. The NPFRHA considers the new guidance a sign the lawsuit put pressure on the Trump administration. "Reincluding references to contraception in this funding announcement suggests that HHS has reflected on our arguments and taken at least some steps to correct its mistakes, though the agency still seems to believe that it is free to depart from controlling regulations in a funding announcement," Jessica Marcella of NFPRHA said in a statement. That initial grant criteria revision which spurred the litigation introduced a strong focus on natural family planning, also known as "fertility awareness-based methods," abstinence and encouraged recipients to incorporate family involvement in decisions, particularly for adolescents. An array of provider groups criticized the family involvement provision in particular, arguing it undermined doctor-patient confidentiality. The February guidance came three months after it was expected. Title X grantees were already on edge since 2017, when HHS shrank the funding cycles from three years to one year and prompted worries that they might get pushed out of the program. In May, anticipating possible exclusion from the grants, Planned Parenthood affiliates joined the ACLU petition to the courts to block HHS from using the revised criteria to determine next batch of grants. The Nixon-era program has become hyper-politicized. Last May, the Trump administration proposed to block Title X funds from Planned Parenthood or a provider that offers abortions. The proposed rule would also ban any grantee from offering direct referrals to an abortion provider — although "non-direct" abortion counseling would be permitted. The proposed rule is under fire from wide swath of provider groups including the American Medical Association. It is expected to be finalized in January. Specific changes in the program's funding guidance includes clarification that each umbrella grantee needs to include "broad range" of contraceptive offerings that should include hormonal birth control "since these are requested most frequently by clients and among the methods shown to be most effective in preventing pregnancy." 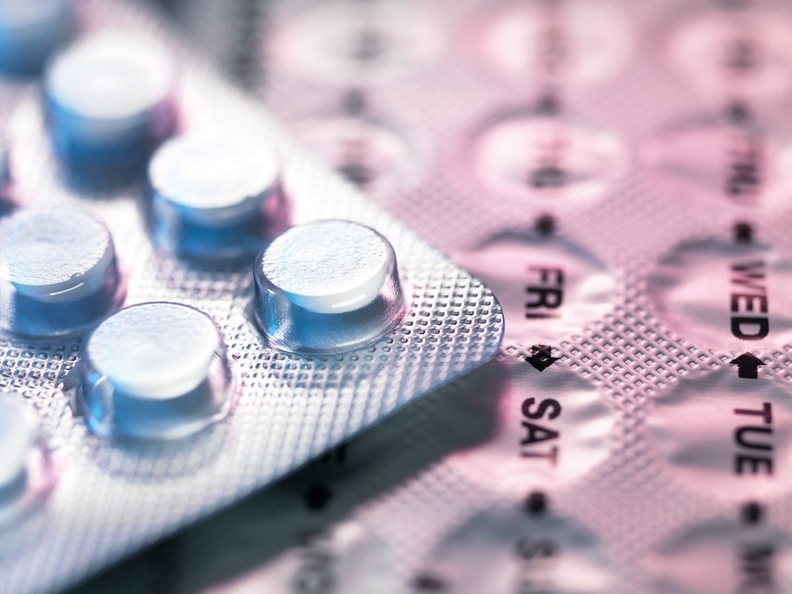 Not every subrecipient of a given project needs to offer hormonal contraception. But if an applicant wants to limit what they offer they must either "select subrecipients who offer additional family planning services so that the project as a whole provides a 'broad range' of family services, or they can act as a subrecipient as part of another applicant's project," a spokesperson for HHS said.